H&O Plastics manufacture and distribute buckets to businesses and individuals nationwide. We fulfil large contracts as well as smaller orders via our website. In total H&O plastics sell around two million plastic containers and other products every year. Designing, manufacturing and delivering this many buckets each year is by no means easy. Our Birkenhead factory is open round the clock churning out thousands of containers each week. Buying directly from the manufacturer means that there is scope for flexibility on an order – no matter how big or small it is. If you would like us to fulfil a large manufacturing contract then get in touch with a member of our production team and they will be happy to accommodate. 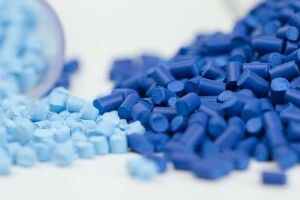 The chief input in the injection moulding process is polypropelyne. This thermoplastic polymer is common in almost every plastic household item – including plastic chairs, stationery and toys. It’s a hard and tough material which is very stress resistant. It is also resistant to electricity and harmful chemicals as well as high heats. Polypropelyne has a high ‘softening’ point and doesn’t melt below around 160 degrees Celcius (compared to polyethylene which melts at about 100 degrees C). In addition to polypropelyne we are familiar with using different thermoplastics and are always open to trying new things if the job requires. Making large quantities of plastic buckets is not easy. Some of our clients order 100,000 containers at a time and our commitment to returning orders as quickly as possible means that we need a highly efficient production method. Injection moulding is fast, efficient and produces high quality plastic buckets, every time. We take the polypropelyne in pellet form and heat it at around 200 degrees until it is completely fluid. The melted polymer is then fed into the desired mould where it cools and sets very quickly. The process for coloured plastic containers is a little different. During the melting process we add a dye known as a master batch to the polymer mix. We are able to produce buckets in a wide variety of colours to client specification. In most case we are able to match client colour schemes very closely and able to offer lots of different colours. Because we are trusted to fill such large orders in a timely manner it is important that are capabilities are up to scratch of a national manufacturer. We have a large stock of quality Sandretto and Negri Bossi moulding machinery ranging between 250 and 500 tonnes. Each of these machines can produce between 80 and 150 plastic containers per hour meaning we are able to meet contract manufacturing jobs comfortably if given enough notice. And because we already invested in the machining capability, the ‘moulding’ aspect of the machine is not that much added expense. This means we can produce a wide variety of designs in an even wider variety of colours. If you would need some plastic container manufacturing work undertaking then get in touch with a member of our team now. We can be very flexible around client demands and can easily alter colour, shape, lid design and tamper proofing. To discuss your needs call a member of our production team today on 0151 6399 0002.